On Friday night to hear the SSO conducted by Charles Dutoit. That meant, in the first half, Ravel, Rapsodie Espagnole followed by Debussy, Nocturnes. In the second, still French though probably something more emphatic than an impression, the Berlioz Te Deum. Dutoit is a top draw (and is also top-drawer) for the SSO. You can tell when the orchestra takes a conductor seriously when a full house of principals turns out. In this case practically all (with one exception) except in the first violins, which already have a double complement, and the horns. As for the public, I expect it was as much the participation of the choirs, and particularly the Sydney Children’s Choir, which accounted for the very full house. In advance I wondered if the Ravel and Debussy might not prove to be a bit much of the same thing, but in fact putting the two up next to each other showed that they were not. The last movement of the Nocturnes featured the singing of a group of female voices described as “Women of the Sydney Philharmonia Choirs.” They used to be Ladies. This may well be the only time I hear Berlioz’s Te Deum live in my life. 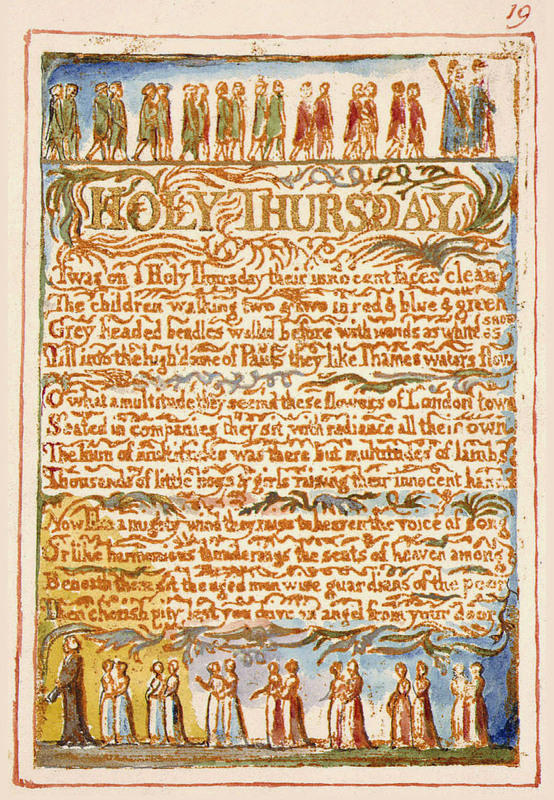 The addition of the children’s choir was apparently an afterthought by Berlioz after hearing the charity children singing at St Paul’s Cathedral in London (this is the annual event which some years before was the starting point for one of Blake’s poems Holy Thursday). We didn’t get an ophicleide. The relevant parts were played on two tubas. The Children’s Choir (who were great) and the Sydney Philharmonia were joined by the Tasmanian Symphony Chorus. The combination was thrilling in the loud bits but there were some not so convincing moments in some quieter sections: that’s when the lack of focus that big choirs suffer from can become a problem. Things were better when the choirs had the tenor soloist to fit in behind. I’m not convinced that all of this piece is the best Berlioz especially when it gets more “religious.” Berlioz himself apparently thought that the final section was one of the best things he wrote and that is a plausible claim. The Concert Hall set-up precluded the spatial separation between orchestra and organ and between children’s and main choir which Berlioz stipulated. The latter could have been done by moving the kids round a box or two but that might have been a bit challenging for them as well as even more disruptive to subscription seating. The SOH organ is not really the right kind of organ for this repertoire but that’s just something you have to live with. Everyone had a good time. My own instinct in such situations is sympathy for the employee. Experience tells me that when this happens it is unlikely to have been the player’s choice. If that’s the case, then saying who it is here won’t help at all. All I can do is say: thanks for the music. This entry was posted on September 6, 2015 at 7:13 pm and is filed under Sydney Symphony Orchestra. You can follow any responses to this entry through the RSS 2.0 feed. You can leave a response, or trackback from your own site.